R&S takes great pride in product quality. We back this statement by having our products tested and certified by leading agencies. From design to fabrication, our products meet the most rigorous standards and are held to those standards through repeat audits on material and ongoing quality control measures. Product: Drainable blade louvers have been tested to ensure high free area, low water entry and air resistance. Models: 4″ Galvanized or Aluminum Formed Drainable Blade Louver. Product: Prismatic Acrylic and Smooth Polycarbonate skylights carry AAMA certification. Testing to ensure performance against water intrusion, air leakage and structural integrity when exposed to pressure changes. More information is available for each product configuration on product detail pages. Models: RS24/32 Integrated Daylight System (Skyline Series) for Standing Seam Roofs. RS Curb Mount Skylights which can be mounted on metal buildings or conventional curbs. Product: Polycarbonate skylight meets requirements for high velocity hurricane zones and is rated against large and small missile impact. R&S offers the only Miami-Dade approved complete integrated skylight and curb system in the industry. 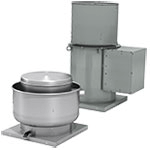 Product: Automatically Operated Roof Vents (Smoke Hatch) certified to carry a UL listing. These products feature dual lids, high uplift latching systems and fusible links which automatically melt at designated temperatures. Models are offered with either solid lids or lids fitted with skylights. Other options include standard live load models which open against a 10 PSF live load or high-capacity models which open against a 30-40 PSF live load (depending on size). The products can be fabricated from Galvanized Steel or Aluminum and can be factory finished with a white powder coat or Kynar coating. Customer color matches also available. Models: ULSH 4848, 4872, 4890, 4896, 6060, 6072, 6090, 6096 followed by SDA (Single Dome Skylight), DDA (Double Dome Skylight), or SLD (Solid Lid) and followed by SF (Self-Flashed), CM (Curb Mount), and MB (Metal Building).